In the wake of the Pennsylvania grand jury report, Catholics are outraged, hurt, betrayed by such egregious church scandal. Where do we go from here? 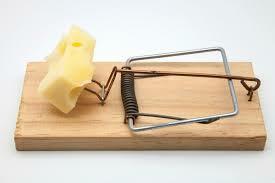 Jeff implores us to not get caught in a trap that will immobilize us. He asks us to look at the example of Jesus on the cross. Jesus knew he would be betrayed, beaten, and crucified, and yet he still gave himself in obedience to those who handed him over, who denied him three times, who nailed him to the cross. God knows that members of the Church have been unfaithful, yet he asks us to follow Jesus’ example and stay close to him through the sacraments. Letter from Ralph Martin at renewal ministries. “trouble” (thlipsis) – pressure, anguish, tribulation, burdened. “overcome” (nikao) – to subdue, conquer, overcome, prevail, get the victory.